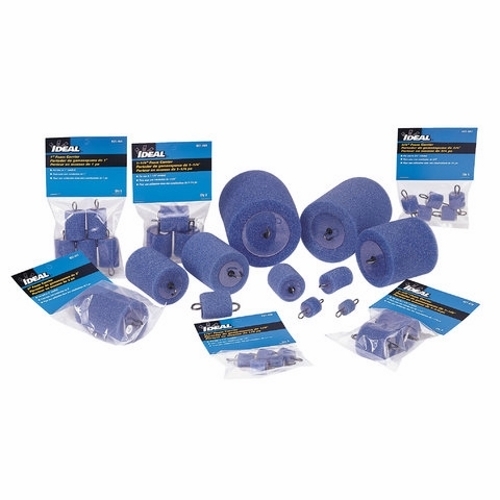 IDEAL Foam carriers are designed to attach to a suitable line to serve as a piston that clears out water or debris as it travels through the conduit. Carrier constructed of durable foam material offers long lasting repeated use. It is ideal for use with any type of blower or vacuum system.